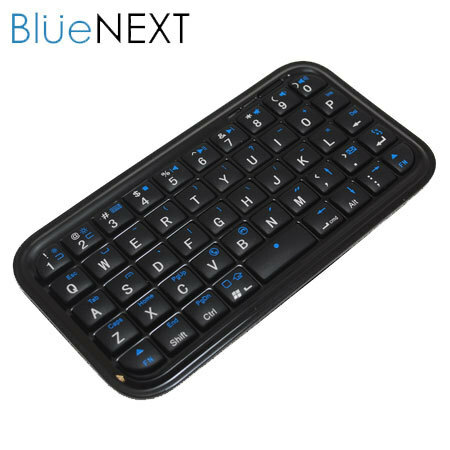 Take control of your device wirelessly with this BlueNEXT mini keyboard. Nice little keyboard for the price. Not the sturdiest or most comfortable, but well worth the price. This small "review" has been written using combination of this keyboard, se xperia neo and bluekeyboard jp. 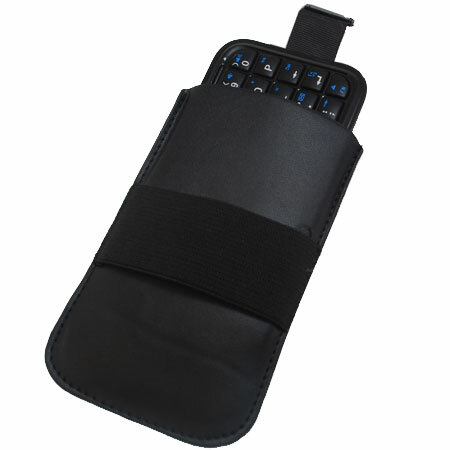 The keyboard comes with a small pouch, stand for the phone, usb-cable and a driver disk. With nokia c7 it took less than a minute to write the first words with this little gadget. With android a bit more work was needed and I never got it working with htc desire. However this seems to be an issue related to android + sense. With xperia neo it works just fine after installing bluekeyboard jp from the market, configuring input language as us english and selecting correct input method(long press in the input field). If I would loose it, I would probably order another from mobilefun. Ordering and delivery to finland were both hassle free. Can't say much else apart from brilliant add on for my iphone 4. I am happy with the service... It is a very help full website, easy to use and Fast delivery. At only 11.4cm across, and weighing less than 50g, this Bluetooth keyboard is truly the go-anywhere alternative to the iPhone's native on-screen keyboard. With all the keys you'd expect, and some you wouldn't, the mini Bluetooth multimedia keyboard transforms data entry on your iPhone into a fluid, even enjoyable experience. 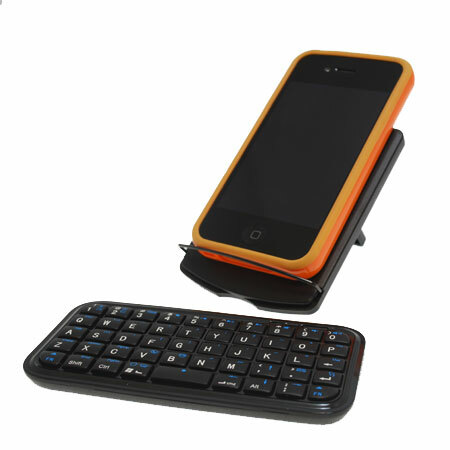 This keyboard features a built-in rechargeable battery, which is charged over USB using the supplied cable. 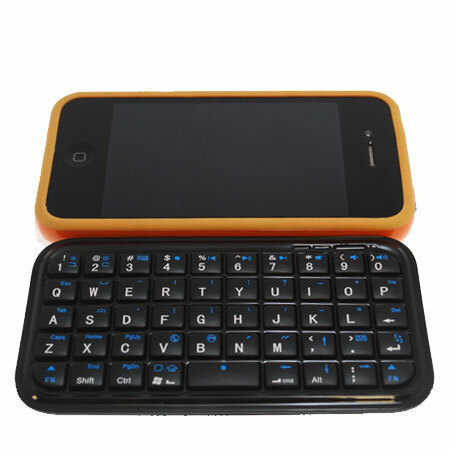 Taking advantage of the new Bluetooth keyboard compatibility features of iOS 4, this keyboard has a range of dedicated multimedia controls to make watching movies and listening to music simple. Also being compatible with Windows and Mac, it is also possible to use these keys to control your computer. 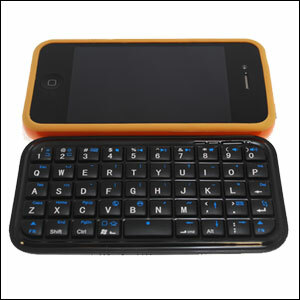 One of the new features of the latest iPhone and iPod operating system version is the built-in support for Bluetooth keyboards. This means the keyboard works with all versions of Apple handsets upgraded to iOS 4, as well as the iPad. 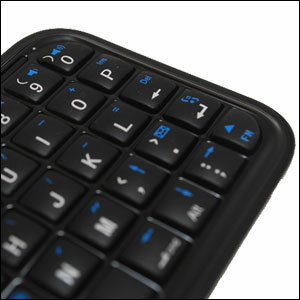 This keyboard is also compatible with your Playstation 3, Nokia phone with Symbian 60, PC and Mac.